This is a rose in kit form cut from 16 gauge steel. It makes a very beautiful rose! Make it open or closed! Consider embellishing with Gilders Paste or one of our patinas for added beauty. 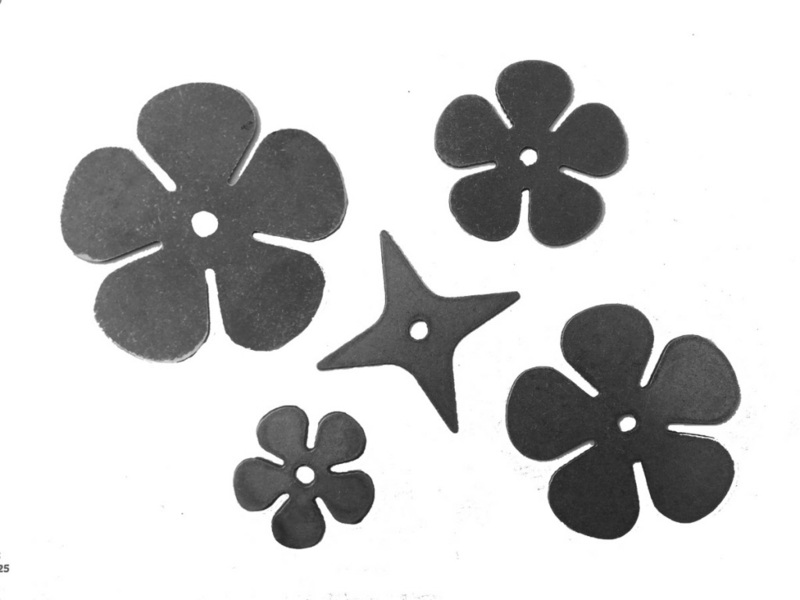 Kit consists of 5 pieces; 1 each of the following blanks: 4.5 in., 3.5 in., 2.75 in, 2.5 in and the 2 in bud bottom. Made exclusively for Pieh Tool for the Pieh Legacy Collection. Made in the USA.